I was directed to this essay (referred by Devin Payne) and I found it compelling. The over-arching issue however is not really about transgender people at all, it’s about slacktivism and e-tigers, who talk a big game in text but otherwise remain hidden and don’t do the things which force the political issues into the forefront – shoe leather to pavement, knocking on doors, making the metaphorical calls, and breaking the proverbial balls. However, it’s also hard to be an activist when being “out” means that you risk losing your job, your family, your friends, and opening yourself up to potentially devastating harassment. It’s sort of a chicken-and-egg situation: if people don’t come out, then the mystery, fear, uncertainty, and dread continue, which keeps us underground. 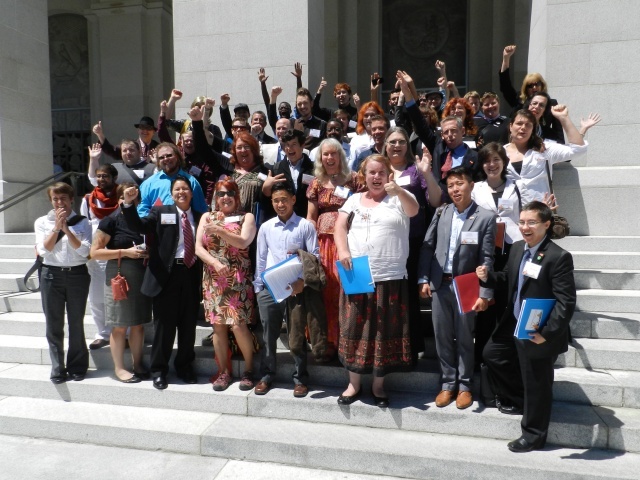 Transsexual Separatist Slacktivism Doesn’t Win Legislatively | The Transadvocate. This entry was posted in Activism, Politics and tagged california, slacktivism on August 16, 2013 by .